Loredana Meli (C.C.HT. Psy. D) is a Consultant Hypnotist/Psychotherapist with nearly 3 decades of experience in private practice. Since graduating, Loredana has worked in different parts of the world, treating thousands of people for a wide range of psychological and physiological problems. She is currently in Rome, where she runs her own private practice, called: "Ipnosi Olistica", or "Holistic Hypnosis" in English. 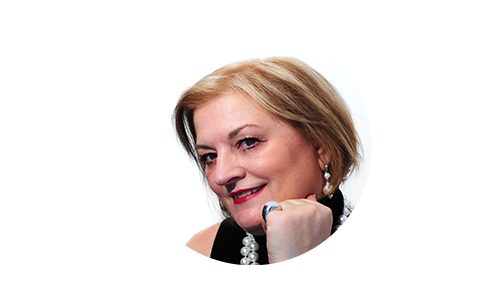 In order to maintain status as an 'active member' in these professional associations, Loredana has to continuously update her skills and knowledge in the field of hypnotism. Verifications of such requirements take place yearly. Having worked with a broad spectrum of clients in all aspects of Hypnotism, Loredana is a teacher, motivator, counsellor and coach, whose goals is to assist her clients in resolving normal problems of living. Loredana is also an expert in the following areas: management of situational stress, referred medical issue, fear/apprehentions, sleep improvement, mental positive attitude and the development of self-esteem, confidence and assertiveness skills and motivational speaker. In addition, Loredana also focuses on enhancing positive mental attitudes and healing the "Inner Child". This technique is specialized for people who are dealing with life changes, relationship issues and who want to create, widen and deepen the capacity for love; helps forgiveness. Certified Medical & Dental Hypnotherapist (USA). Certified Advanced Clinical Hypnotherapist/Psychotherapist (USA). Certified Clinical Hypnotist/Psychotherapist, Certified Practitioner & Master Trainer of Neuro-Linguistic Programming (NLP) (UK). Advanced Certifications in US: Post Traumatic Stress Disorderer PTSD, Stress Reduction, Smoking & Weight Loss, Computerized Weight Loss, Hypnosis for Stroke Survivors, Geriatric Hypnosis, Self Confidence & Fear of Success, Past Life Regression, Pain Management & Anesthesia, Specialist Age Regression Therapist. Advanced Certifications in UK: Past Life Regression Therapy, Life Between Lives Therapy, Age Regression, Advanced EFT. Member of the: IMDHA (Medical & Dental Hypnotherapy Association), NGH (National Guild of Hypnotists - the oldest and largest Hypnosis Society), and life member at the AAPH (American Association of Professional Hypnotherapist). Loredana has been featured on local television, news, radio and in print media.